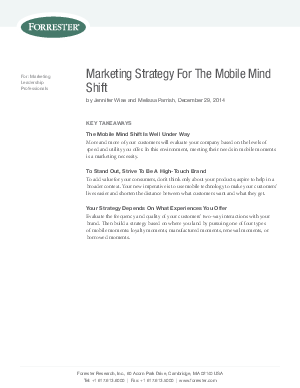 Customers are in the midst of a mobile mind shift. As a result of their perpetual mobile connections, their expectations have changed. They're not interested in your messaging and logos. They want utility, and they want it now. In the world of the mobile mind shift, customers expect to get whatever information or services they want in their immediate context and moments of need. Mobile applications are crucial in this world, as they allow you to create relationships with customers who are outside the reach of traditional marketing.